Northwest Career College is built on the foundations of family and the bonds that bind them. Dr. Kenny and his children have dedicated themselves to the mission of educating students and helping them to succeed in their chosen profession. Once you enter the doors of Northwest, you are family, through and through. Come join the Northwest Family where you’re connected for life. Since 1997, thousands of students have walked through the doors of Northwest and have gone on to become successful Massage Therapists, Dental Assistants, Medical Assistants, Medical Insurance Specialists and Paralegals. Won’t you join the fine group of Northwest Alumni now serving the community in a variety of professions? Explore Northwest Career College and see where your future can lead. Come tour our campus today! At Northwest Career College, ours is a student-centered philosophy where students come first. Our open door and open heart approach to education sets us apart from all others. It’s a feeling you get when you first walk in our doors. Every Alumni is welcome back on the campus of Northwest Career College. We love to hear your successes and share in your life’s progress. The absolute best, though, is when you return to the classroom and speak with our current students. Alumni come-backs always give students that extra bit of inspiration to help them see that their goals are achievable and real. Northwest Career College has created a beautiful and peaceful testing space for both our students and our visitors to enjoy. We know how important and stressful test taking can be and we want to make your time here a positive one with successful outcomes! Make sure to allow yourself some extra time to arrive early, get settled, grab a drink or a snack from the front and prepare to PASS your exam! We look forward to seeing you on campus and in our testing center. Best of luck to you! As with any administrative assistant, dental administrative assistants often have a wide range of duties, from the clerical to the medical, to perform. While this does make for an interesting and eventful career, it does also mean that the interview questions for an administrative assistant job to be wide-ranging as well. 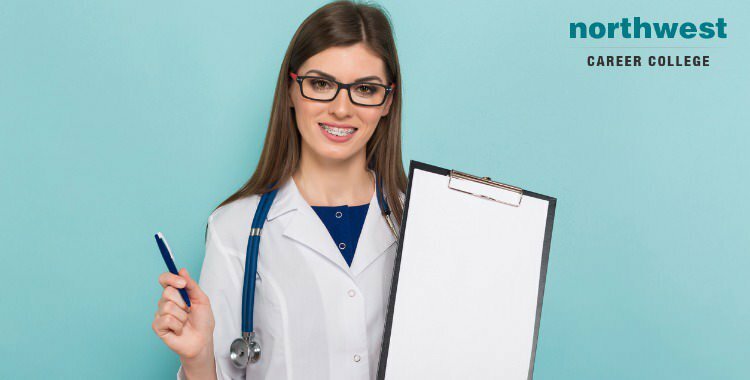 So if you have recently graduated and are looking to join the exciting world of healthcare administration, here are a few tips to help you prepare for your first interview as a dental administrative assistant. Hard Skills Interview Questions: What to Expect Hard skills are the basis of.. Dental administrative assistants occupy a hugely important role in any dental practice. Their administrative skills allow a practice to work at optimal efficiency and they provide vital coordination between staff members, departments and third parties. As exciting as the position of dental administrative assistant is, it is essentially a back office role, which can sometimes make it hard to stand out and move your career forward. To help you get the best out of being a dental administrative assistant, we’ve put together some ideas on how you can fine-tune your skills to help you stand out and get ahead. ..
What’s It Like To Work In A Dental Practice? Here at Northwest Career College, we think that it’s important that you have real world experience of how a dental practice works as part of your education, which is why we offer externships with all of our dental administrative assisting courses. Obviously, every workplace is going to be different, but if you’re considering a career as a dental administrative assistant we’ve put together a few general ideas on what it’s like to work in a dental practice. Working In A Dental Practice The work is fast paced - To fit in the maximum amount of time to provide treatment for..
One of the duties of a dental administrative assistant is to process dental insurance claims and to communicate with patients to make sure that those claims are as accurate as possible. 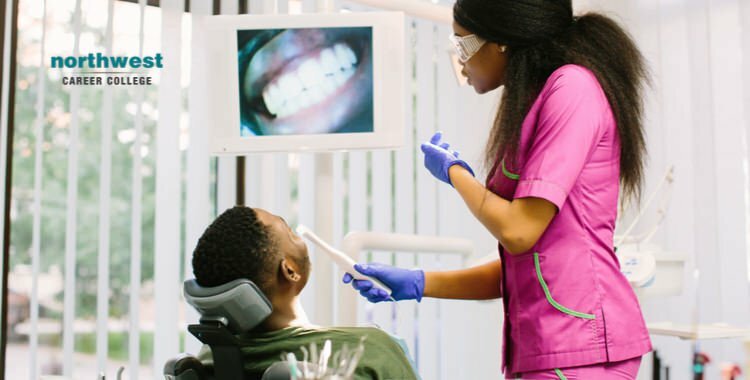 While dental insurance is a necessarily complicated procedure, it may often be necessary to explain the process to patients in as simple a manner as possible. A Simplified Overview Below is a basic overview of the three most common mechanisms of dental insurance that you might be called upon to explain to a patient Annual Maximums: An annual maximum is the total amount some dental insurance companies will..
How To Improve As A Dental Administrative Assistant? Dental administrative assistants are often the unseen motors of the dental practice, keeping the machinery of the workplace running smoothly. Actively switching between back office and front desk, they address a wide variety of tasks and often have an extremely fast-paced work day. With so many responsibilities to shoulder, the dental administrative assistant should always be looking for ways to excel, so we’ve collected together some top tips on how you can become more efficient and effective. Top Tips 1. 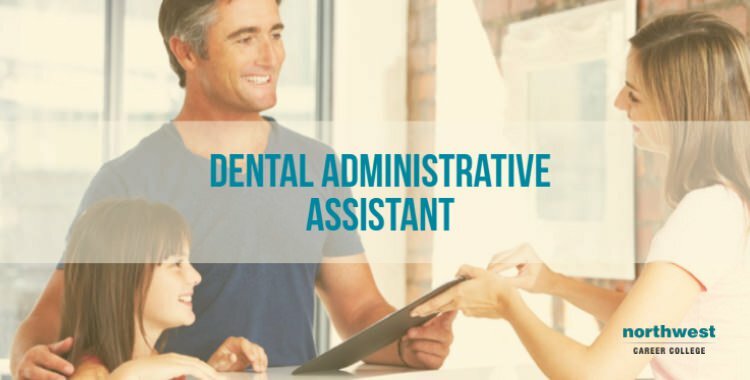 Get to know your dentist: As an administrative assistant, is is important that you cultivate a good working relationship with..
A dental administrative assistant (DAA) is a fundamental part of any dental practice, integrating with all parts of the business and providing vital administrative support. Here at Northwest Career College, our Dental Administrative Assistant Program will give you the skills and experience you need to perform as a DAA, but there are also crucial skills you can develop, while you are with us, that will help to set you apart from other candidates when it comes to finding a DAA position. Key Skills Approachability: While the responsibilities of the DAA are primarily administrative, they do work as part of a..
Medical Assistant or Medical Administrative Assistant?